In my hectic, sometime chaotic life, bedtime is a welcome reprieve. Finally being able to rest my head on a fluffy pillow and climb between soft, cool sheets sometimes comes later than I would wish. Still these fleeting hours of quiet solitude restores me to battle through another busy day. Since I cherish my sleep, a quality set of sheets is paramount. For me, I look for soft, supple sheets. Sheets that are too crisp become scratchy during the night. I want sheets that feel welcoming when I get into bed. 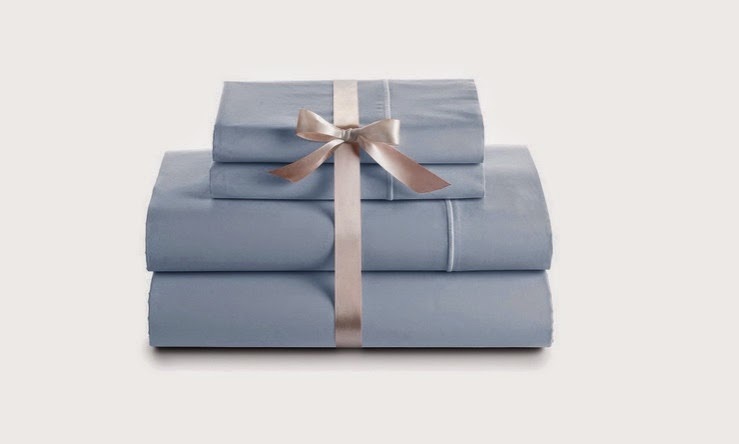 My new favorite set of sheets are 700 Thread Count Luxury Soft Cotton Silky Sateen Sheet Set by Francois et Mimi. These sheets are soft to the touch and feel great throughout the night. The extra deep pockets help to keep the sheets secure on the bed. Even with all the tossing and turning, the sheets don't ride up or bunch at the end of the bed. Most importantly, I feel that these sheets keep cool throughout the night. While I haven't washed these sheets numerous times, I have noticed that they have been wearing well. I haven't noticed that the softness is deceasing with each wash. The thread count helps with wear. Overall, I am pleased with these sheets. 700 Thread Count Luxury Soft Cotton Silky Sateen Sheet Set by Francois et Mimi. is available at Amazon.com. The sheets are available in Queen and King sets. The company offers a wide array of colors. Sets are priced at $89.99. Give yourself the gift of a soft, comforting night's sleep with a new set of 700 Thread Count Luxury Soft Cotton Silky Sateen Sheet set. Disclosure: The reviewer received these sheets for purposes of this review. All opinions are her own and were not influenced by anyone.